When I just started out trading, I quickly realized that there were so much information on trading that it is difficult to tell which are facts or myths. So I spent a lot of time doing trial and error in hope of finding something that is valid and useful to me. It is only after years of trading that I realize simple is better and what may seem obvious may not actually be. 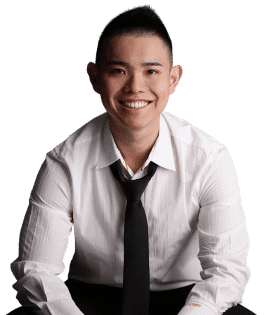 I hope by sharing with you these trading myths, you can avoid the unnecessary frustrations of what I went through and fast-track yourself to profitable trading. So what are the 10 biggest trading myths that just won’t die? “Our research indicated that liquidations are vastly more important than initiations. If you initiate purely randomly, you do surprisingly well with a good liquidation criterion. Dennis actually challenged the Turtles to randomly enter the market and then manage their trades after getting in. That was a real Zen moment for the Turtles. If they applied appropriate risk management, they could handle the worst that came down the pike once they were in any trade. When I first started trading, I knew there was no ‘holy grail’ from the start. But I was obsessed about looking for the best entry. I kept thinking that as long I get a good entry, it means price will soon go in my favor and I will be profitable. However, trading is like operating a casino in which there are many other factors to consider like your position sizing, exits and trade management. And an entry is simply part and not the whole equation to profitable trading. Now, entry simply means the frequency of trades to me. The more entries I get the higher the frequency of my trades, nothing more. Do you know that even with a random entry, you can still be profitable if you take care of the exits, position sizing and trade management? This particular study shows why random entry is as good as any technique. Trading is a marathon and not a sprint, thus what you are after is consistent profitability. But how do you define consistent profitability? Consistent profitability means a different thing for different traders in a different time frame. For scalpers being consistent would be making money every quarter. Compare that with a trend follower who trades the daily chart, consistent would be making money every year. As you can see, consistency is correlated with the time frame you are trading on. The lower the time frame the higher the frequency of your trades, thus having the law of large number working in your favor over a shorter period of time. Likewise, for a trader who trades the higher time frame, he needs a longer period of time to have the law of large number working out in his favor. You may wonder what is consistent profitability for high-frequency trading? Well, they are trading in milliseconds thus they can easily have the law of large number play out their edge over a short period, like a day. Then it is no surprise that high-frequency trading firms can make money every single day, like Virtu Financial. Note that before you want to define consistency in your trading, you must first know the time frame you are trading on. The 2% trading rule is a common rule in the trading industry. If you look at it from a risk of ruin perspective, it makes sense as it keeps you from blowing up your account. But what it fails to consider is the trading time frame, system’s performance, and individual’s risk tolerance. Trading time frame – Risk management using a fixed percentage of capital works if you are a day trader and above. You would have the luxury of time to calculate your stops and position size accordingly. But what if you are a scalper being in and out of trades within minutes and, stop loss depending on the price action you see on the depth of market? The 2% rule wouldn’t make much sense here because you have no time to calculate your position size each time you put on a trade and, your stop loss is seldom defined before each trade. System’s performance – A 80% winning rate with a 1 to 1 risk to reward is damn good for any trading system. You have less than 1% chance of losing 3 trades in a row mathematically. If you are to risk 2% on each trade, you are being too conservative and not betting optimally. 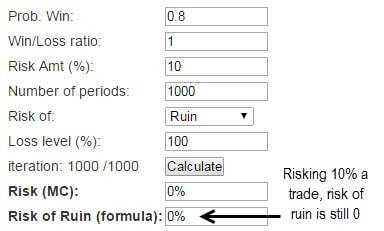 And even if you risk 10% a trade, your risk of ruin is still 0 after 1000 trades. Individual’s risk management – Not every trader opens a trading account with the intention of letting it sink to zero. There are traders who set a limit to how much their equity can drop, before calling it quits. Assume you have a tolerance 25% drawdown before you stop trading and have a trading system that wins half the time with a 1 to 2 risk reward ratio. If you risk 2% a trade you will have 0.56% chance of 25% drawdown compared if you risk 1% a trade, you will have zero chance of 25% drawdown. In this case, risking 2% a trade is too much for your own individual’s risk management. There is no one size fits all when it comes to risk management. You need to consider the type of trader you are, trading system’s performance and your own risk management. Everything in life comes with a certain amount of risk and it is your job to minimize them. When you are crossing the road with both eyes closed, you risk getting hit by a car. When you’re learning how to drive for the first time, you are at risk to others. When you’re entering a trade without stop loss, you are at risk of a margin call. Imagine now when you are crossing the road, you open both your eyes, look to your left and right to check before crossing. The odds of you being hit by a car is greatly reduced. After 30 driving lessons with an instructor to teach you, you are proficient to drive a car. This no longer makes you a danger to others. So where does risk comes from? Risk comes from lack of preparation and knowledge. If you put in the hard work to learn how to trade just like anything else, risk can be reduced to a comfortable level. 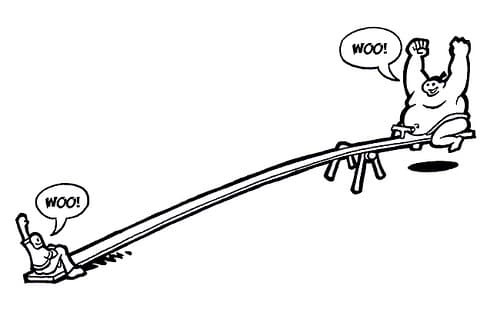 Trading Myth #5 — Greater leverage greater profits? Google forex trading and you will be flooded with brokers advertising themselves offering you crazy leverage for your trading. Brokers will tell you that you can make 100% returns easily, but conveniently forget to mention that you can also lose your money as fast. Let’s say you have a $1000 trading account and you buy 50 shares of Apple at $20/share. Apple then rises to $25/share making you a profit of $250. And if Apple drops to $15/share, you have a loss of $250. Assume now a broker allows you to leverage 5 times your capital, which allows you to buy 250 shares of Apple with $1000. Apple then rise to $25/share making you a profit of $1250. And if Apple drops to $15/share, you have a loss of $1250! Always remember that leverage is a double-edged sword. It can improve your returns and amplify your loss. One of the most talked about topic in trading is none other than the risk to reward ratio. You would usually see traders trying to aim for a minimum of 1 to 2 risk reward before placing a trade, anything less would be a bad trade. In short, the quality of a trade is entirely dependent on the risk to reward ratio, which doesn’t make sense. That means if I go long Eurusd at 1.3010 with a stop loss at 1.3000, 10 pips. Then my take profit level is at 1.4000. Wow, a risk to reward of 1 to 100! That’s a fantastic trade! But does it make sense? The traditional risk to reward ratio is stated as Risk (pips you stand to lose): Reward (pips you stand to gain), which is pretty much useless this way. What it fails to take into consideration is the probability factor. 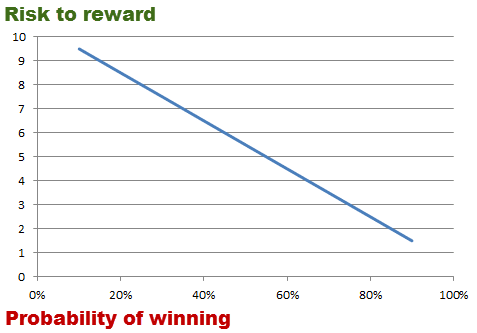 Risk to reward and the probability of winning are 2 sides of the same coin. Thus it is meaningless to talk about risk to reward without knowing the probability that comes with it. Trading Myth #7 — Does confluence improve your trading? Confluence occurs in trading when 2 or more factors or analysis tools are lined up together giving the trade a higher probability of working out. E.g. Bullish engulfing pattern at support aligned with 61.8% Fibonacci level. However, I realized there are 2 issues never mentioned about confluence. Firstly confluence has a correlation with the number of tools you use in your trading. The more tools you use, the more confluence you will find. A trader using 10 tools is bound to have more confluence in his trading compared to someone who uses only 2. Does that mean the trader with 10 tools has more high probability trades? It would be nearly impossible to statistically prove that confluence does increase the probability of a trade. You have hundreds of trading tools to choose from and endless permutations that you can derive from it. Secondly let’s assume that confluence does improve the odds of winning, but at what frequency? Let’s say trading system A has a 1 to 5 risk reward 80% of the time. However, it requires confluence from a number of trading tools thus it generates only 5 signals a year. Now compare that with trading system B that has a 1 to 2 risk reward 50% of the time and it generates 100 signals a year. Which trading system is more profitable? Although trading system A has a higher expected value than B, the low frequency of trades make it a less profitable than trading system B. Thus if you are always waiting for high probability setups that come infrequently, you may actually be losing out to a trader who trades lower probability setups that come frequently. Many traders are lured into trading by the promise of quick riches and easy money. You see advertisements promising 300% returns over a few months or how traders quickly made 6 figures with a small capital base. But is it really possible? But let’s assume you are a fantastic trader who can make 20% a year consistently. So how long does it take to turn $1000 into $100,000? X is the number of years, and solving for X (to the nearest year) is 26. This means if you want to turn $1000 into $100,000 by earning 20% a year, you need 26 years! What if you have a starting capital base of $20,000 and you want to grow it into $100,000, how long does it take? Solving for X gives you 9. This means if you want to turn $20,000 into $100,000 by earning 20% a year, you need 9 years. In trading, you need money to make money. If you have a small capital base to start with, chances are you will not grow that account into a million dollars soon. Don’t expect to make a pot of gold out of grass and water. When I first started out trading, I thought that those who made money consistently knew where the market is heading. All I needed to do is follow those who can predict accurately and I’ll be rich! How detached from reality I am. If you believe that you need to predict where the market is going to make money, then a casino also needs to predict whether it wins the next hand to make money. But you know that casino makes billions of dollar each year by not knowing whether they will win the next hand or not. Likewise in trading, you do not need to predict where the market is going to make money. In fact, you can still remain profitable being more wrong than right. How so? Let’s play a simple game whereby a wrong prediction cost you $100 and a right prediction makes you $300. You make a total of 20 predictions of which 14 are wrong and 6 are right. You lose $1400 on your wrong predictions and make $1800 on your right ones. In the end, you still make $400 by being more wrong than right. This is made possible by losing small when you are wrong and winning big when you are right. Go to any trading forums and you will see traders crying wolf when their stops got triggered. It is usually the case of price triggering their stops by a few pips before heading back in the opposite direction and, brokers are always the villain. But does your broker really hunt for your stops? My answer is no and here is a couple of reasons why. Regulatory bodies – There are regulatory bodies like the CFTC or NFA that regulates Forex brokers. If you are constantly being quoted different price from your broker compared to someone else who is trading with the same broker, you can simply take a screenshot to lodge a complaint to the relevant authorities. The broker could potentially lose it’s trading license because of this, not a good risk to reward if you ask me. Bad for business – Forex brokers make their money by earning the bid-ask spread from their client’s trading. So it is in their best interest for their clients to trade consistently over a long period of time, to continue to earn the bid-ask spread. However, if they try to be funny by picking off their client’s stops just to earn a few extra pips, it is a matter of time before their clients find out and move to a more reputable broker. And if a large number of clients start hopping over, they will soon be out of business. There is an overwhelming amount of information out there on trading. Some of it are facts but the majority are simply trading myths without concrete evidence to back it up. I would highly encourage you to always question the source and not take anything at face value, including the things I say. Do your own research to back up your findings, only then would you have the conviction to use the information in your trading. 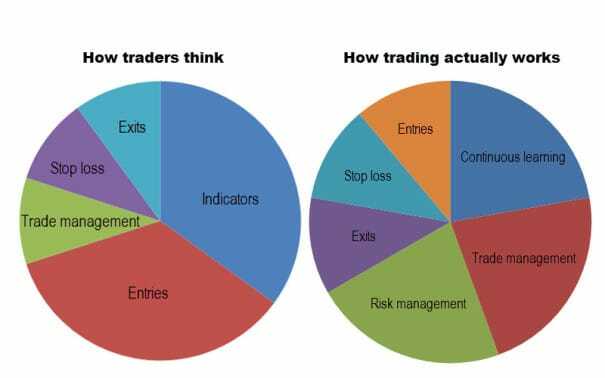 So, what other trading myths have you come across? Rayner, have you met or do you think its possible for someone (genius)to make 1000% return year after year, consistently? Talking about pure human brian trading not by using super computers. Keep up with the good post! No i don’t think it’s possible because if that were true, it would only take him a short period to own the entire’s world money. Nonetheless thank you for the interesting question! Haha yea that make sense. Rayner just wondering whats your take on the Bund? Its been consilidating for over a month, false breakout and back to conslidation zone again. What are the areas that you will look to exit your position? I’m long bund still and attempted to scale in couple times and both hit my stop loss. My core position is still in bund but i won’t be scaling in yet. Would wait for price to break out of consolidation before deciding again. Great to me a fellow trend trader! Thank you for your offer but sorry I have to turn it away, due to my tight schedule. According to my trading history 90% of my entry is on the spot, but I know now why I am still not profitable ( consistently). My bund and GBP/AUD long position got hit. Yup mine got hit as well and that’s just the cost of doing business. My question is where will you stop be for your core positions if price does come down more? I will be bailing out if price trades 2ATR below the low of the daily range. Hi Rayner! Would u have any advise regarding trade management and risk management? i read most of the books under your resources section and they talk mostly about indicators/patterns. do u have any books/websites to recommend that focus more heavily on trade + risk management? i feel this field is quite neglected in all trading books. I wish to know why you think that entries are not important. In my demo trades, entries are the most important aspect. When to enter consistently over a long period of time, will yield a much better result. This also means a less chance of Stop Loss being hit. Would love to hear your comments on this issue. I won’t say entries are entirely not important but rather i feel too much weight is given to entries alone. But do bear in mind i’m coming from a trend following perspective and thus my edge in the markets do not come from just having a good entry. An example is the casino, every round of gamble they take, is close to random. But over the long run their edge will play out as statistically they have a few percentage points over the player. The main thing they keep in check is their risk on each hand. To last long in the trading business, having best entries but poor risk management will eventually lead to the poor house. Because one bad trade is all it takes to wipe out the earlier gains. Also you can check out the study I mentioned in my post, on how random entries but with proper risk management can still allow you to come out ahead in the long run. Thank you for your reply and description of how you approach trading. I understand that your trading method is a Trend following system. Which also means a relatively long term and thats why entry is not so much of an issue with you. For me, I do short term entries and exits. Hence my entries are the most important. I think that is what differs from the both of us. Yes that could very much be possible. After all there are more than one ways to trade the market. You always keep us focusing on the important things in trading. Thanks for sharing your thoughts and I appreciate your kind words. Hi. Great article. I am interested in those calculations about risk of ruin, and so on. How can I do them. Do you get those pictures frome some website or is a program done by you? I used the calculator on this website here. On your point 8, are your personal expectations to get something like 10% – 20% return from trading? I ask because 20% return when trading at 2% risk is only a return of 10R over the whole year, which seems really low. I appreciate the need to temper expectations, but surely no one would be doing all this work for a 10% return surely? 2) Most brokers actually take the opposite side of your trade to create a market for retail traders. The question is whether they hedge your positions in the futures market, or simply be the counterparty to your trade. It was quite interesting to read your publishing on trade. In conclusion I found that there is no way to amke money from trading with surity , correct? -Then how people make money? -What tips do you have towards making money to be rich or make one’s end? -What best risk should we take to win constantly to persistent money maker. -Give us the best strategy that worked for rich people. -what should be the size of capital, risk %, win % , rich %, loss %. 1. There are different approaches to this. Day trading, swing trading, trend following, scalping, and etc. 2. It’s not a get rich quite scheme. You need money to make money in this business, which is the truth many refuse to accept. 3. I risk small, no more than 1% on each trade. 4. There’s no best trading strategy out there to be honest. Only one that suits you as a trader. 5. Start with capital you can afford to lose. Never borrow money to trade. Risk small and slowly work your way up as a trader. Personally, you still need to take into account traders and market makers with Level 2 access and market profile access has information on who will 100% sell at stop loss to buy at lowest prices. These are where the smart moneys are. Market makers and traders with good platform access can actually set accumulation and defensive strategies automated in place. Whenever, there are such behaviour in market, there is nothing trend reversal traders can do. That is why every year there are hundreds of lawsuits againts barclay and other banks or company manipulating and ponzi scheme traders money. Just do standard backtesting, you know there are mechanisms everywhere to trap out the fearful and greedy traders who always set their stoplosses and get their order reflected in Bookmakers and hedgefund companies screen. If you are buying at 1.35 and you know, there are millions willing to stoploss at 1.32 and only few hundreds at 1.33 to 1.35 range. This static money will panic. They bought at higher price from market makers, e.g. 1.37, stop loss at 1.32. Isn’t it 100% sure profitable business to eat them at 1.32 for market makers? When people buy at 1.37 for millions lots, market makers take opposite bets. Will they allow people to exit at 1.42 or with higher profit instead?